While out biking one day last week, my husband and I came along a pile of painted rocks. I had no idea what they were for – maybe geocaching of some sort? I came home and posted on Facebook about it. 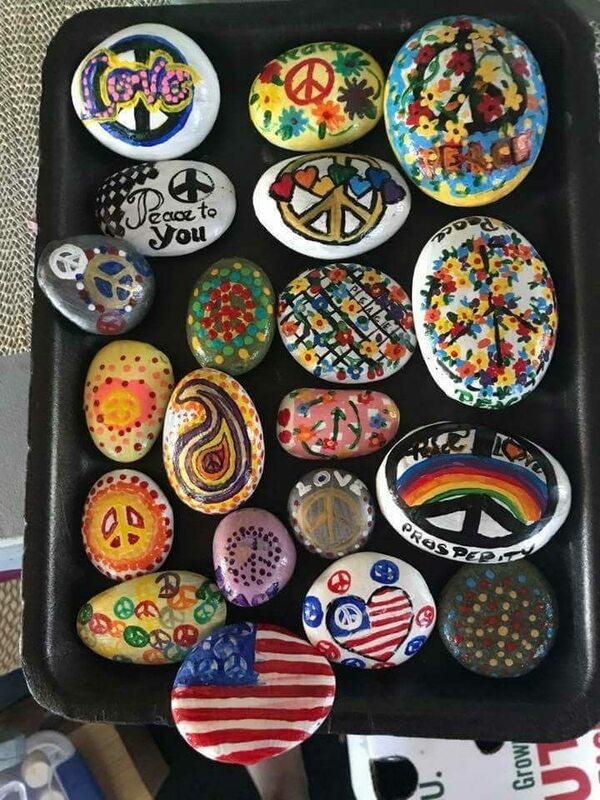 People quickly informed me these are Kindness Rocks, and I discovered a whole new kindness movement that has been catching on in cities across the country. Mike and I discovered these rocks while out biking. I had no clue what they were for. 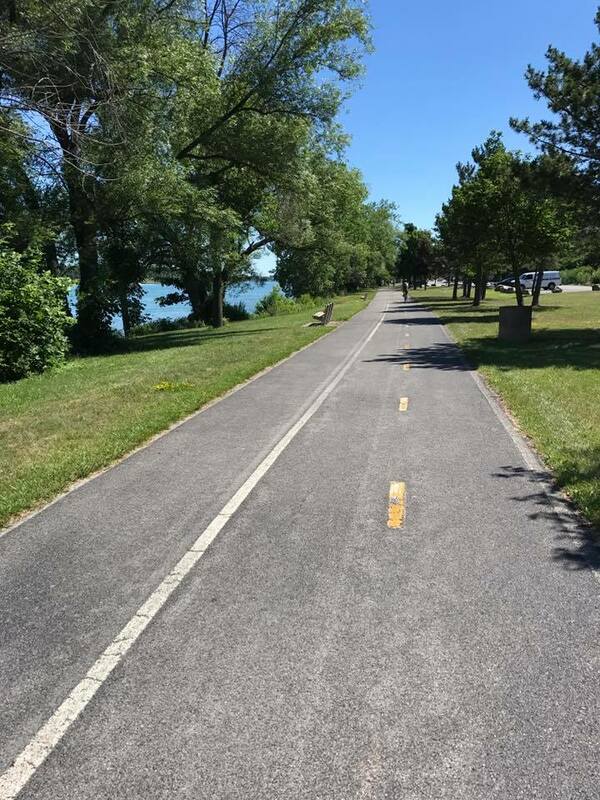 Out on a bike ride, we found Kindness Rocks along the path. 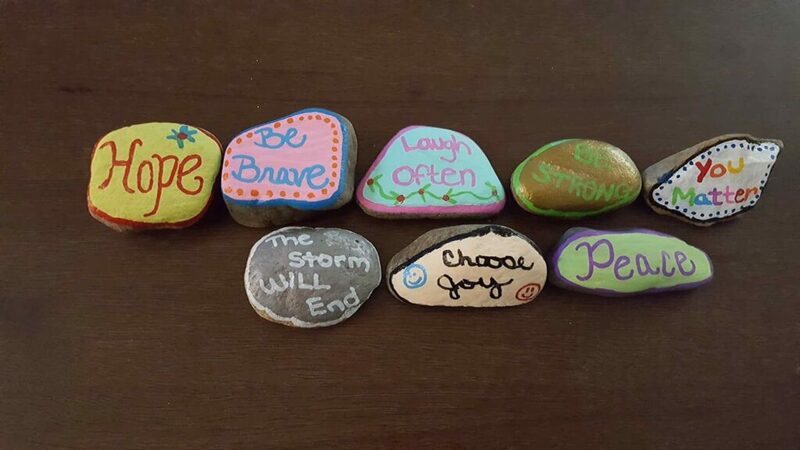 Kindness Rocks are simply painted rocks that people leave for others to find and enjoy. 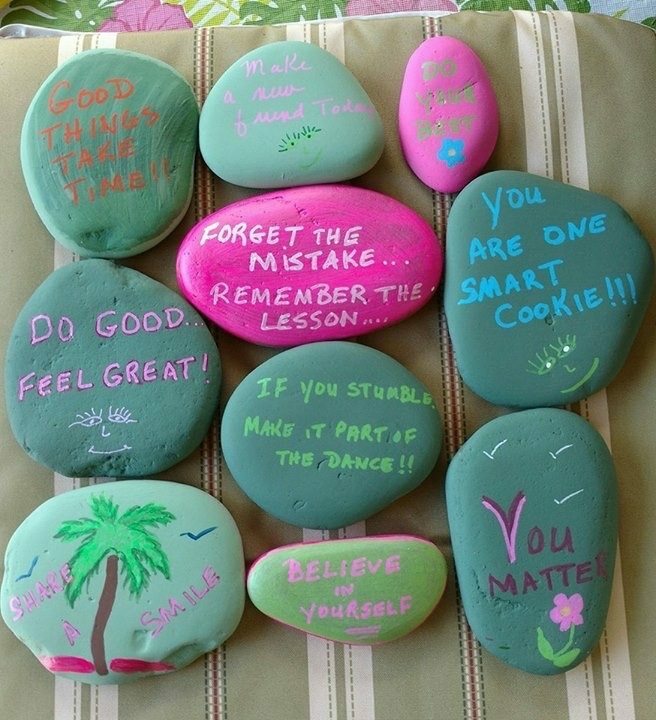 Kindness Rocks are that simple and that beautiful. Jennifer’s preparation for rock painting. 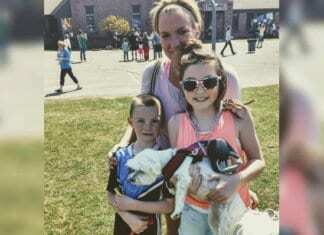 Scroll down for more photo examples of Kindness Rocks! 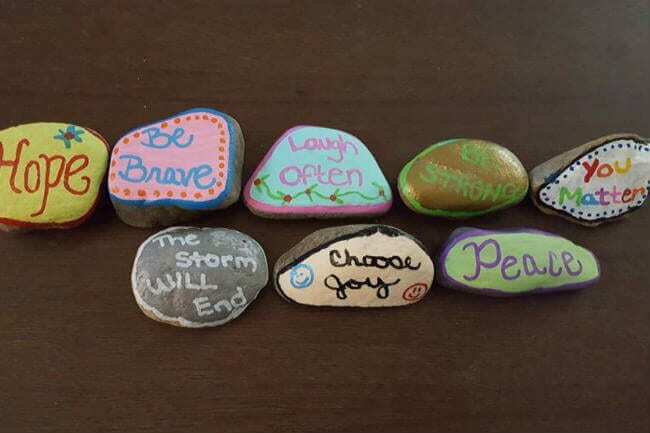 How do you create kindness rocks? 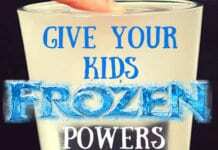 Gather rocks from outside or purchase rocks to use. 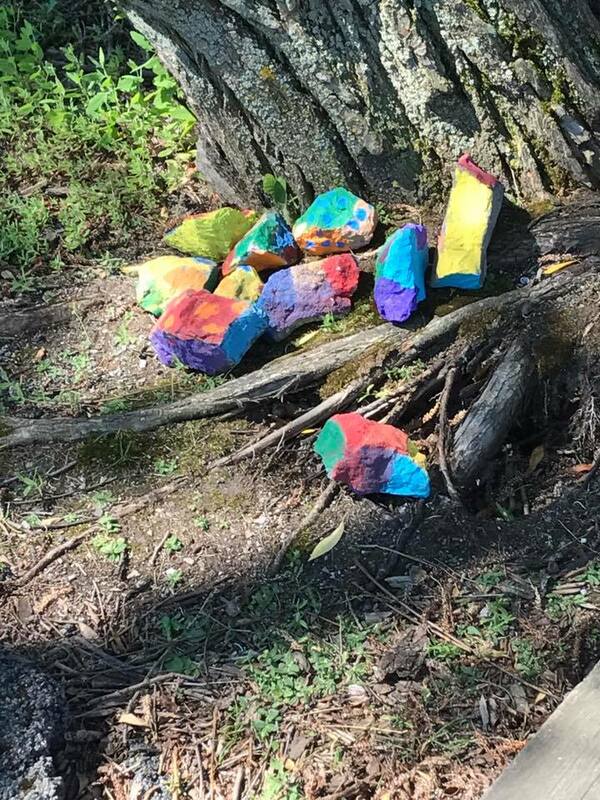 Remember not to take any rocks that don’t belong to you, or from an area where nothing is to be taken, such as a state park. Good places to find rocks: Lowes, Home Depot, and Amazon. Be sure to wash rocks if they are dirty or have an oily residue, then allow to dry completely. 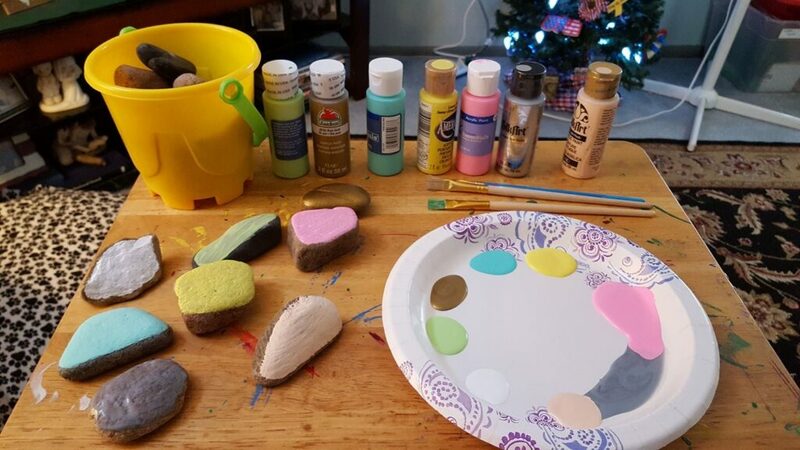 Paint your rocks with acrylic paint. This does not have to be expensive. Here is a good set for getting started. I’ve seen people get creative with fingernail art sets , too. Spray with clear acrylic spray to seal. While not required, this will keep your rocks looking awesome even if they sit out in the rain and other elements. Here is acrylic spray. You can also use modge podge . 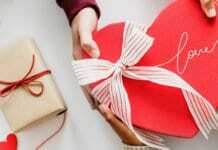 Take this one step further and hook up with other people in your city who are into Kindness Rocks. 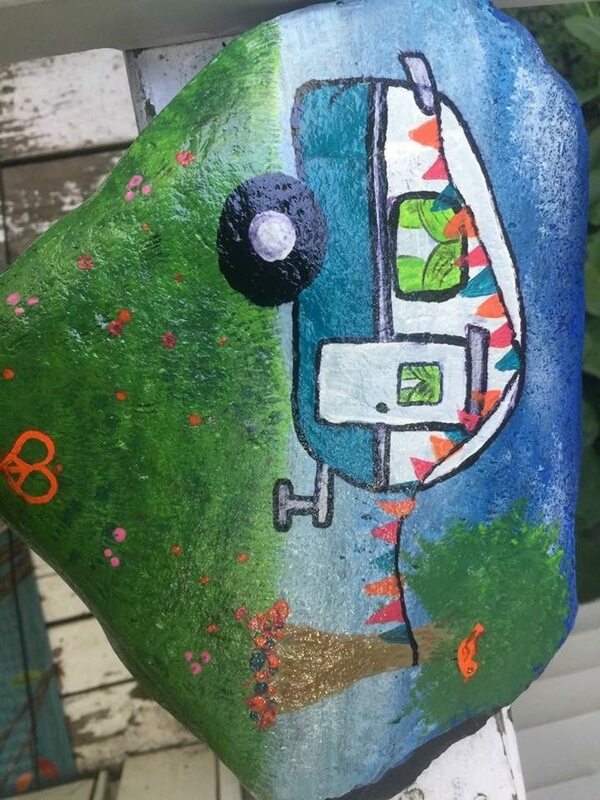 What’s fun about a local group is that you just might find out who finds your rocks, or you might find a rock someone else has posted. 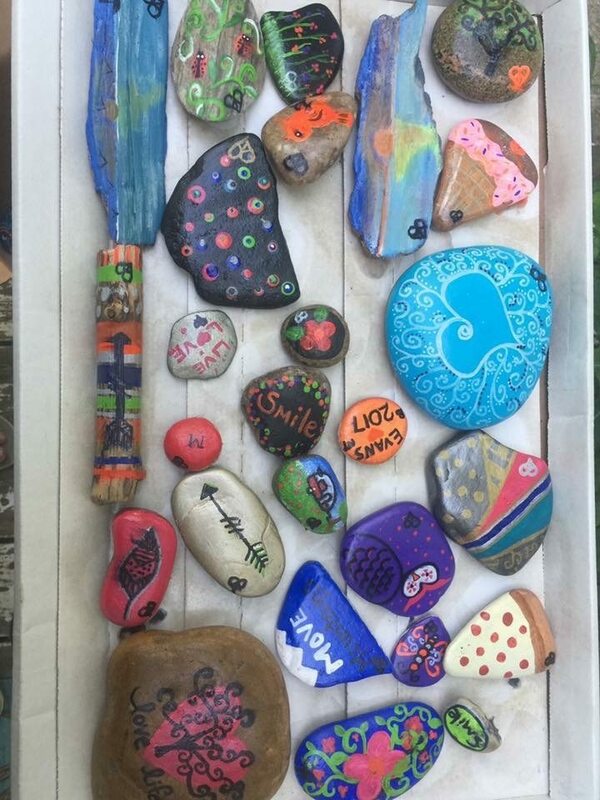 Sweet Buffalo Rocks is even hosting a Rock Hiding event at a local park. Facebook has groups for most larger cities. There are also a number of hashtags you can use on Instagram. 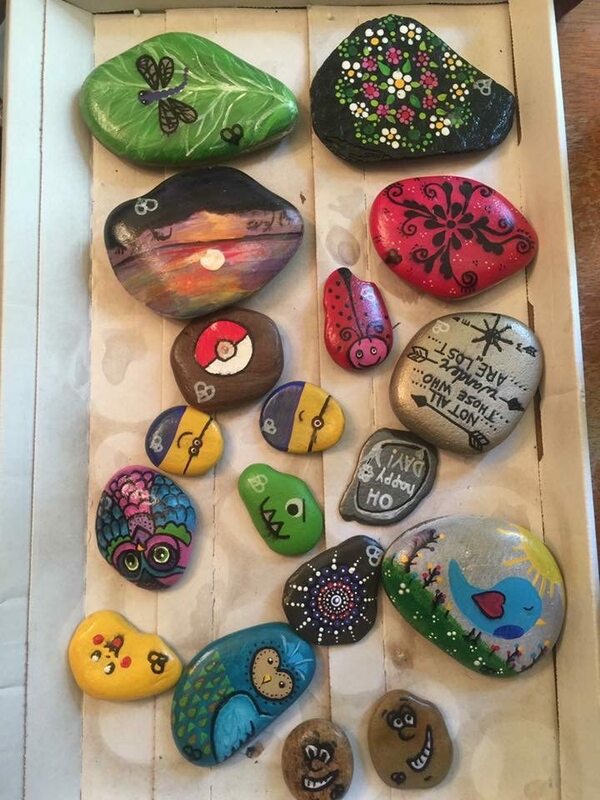 Who Can Paint Kindness Rocks and Hide Them? 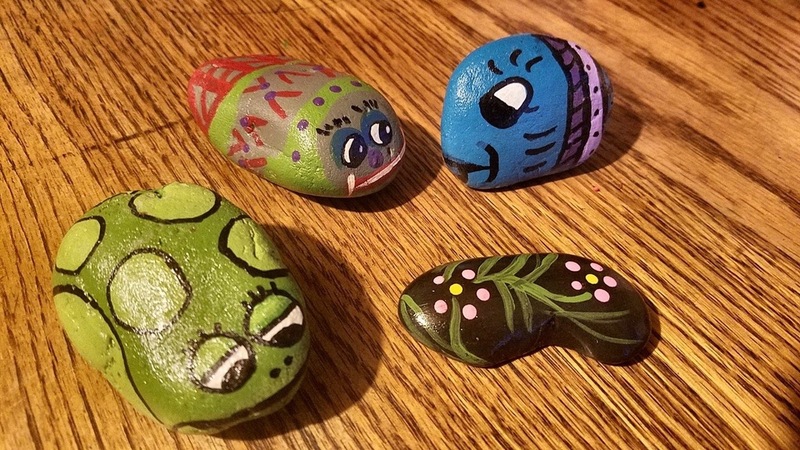 Absolutely anyone is encouraged to paint and hide rocks. 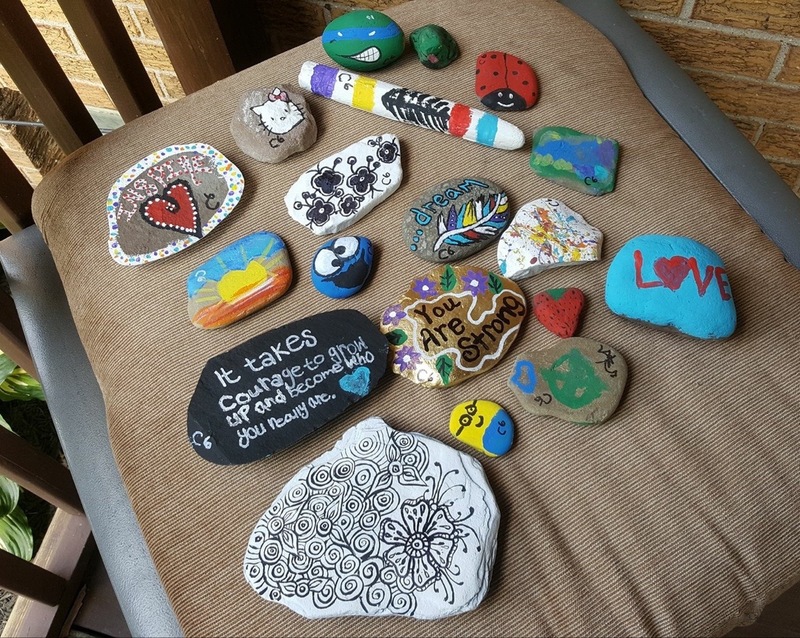 Kids and adults love Kindness Rocks. 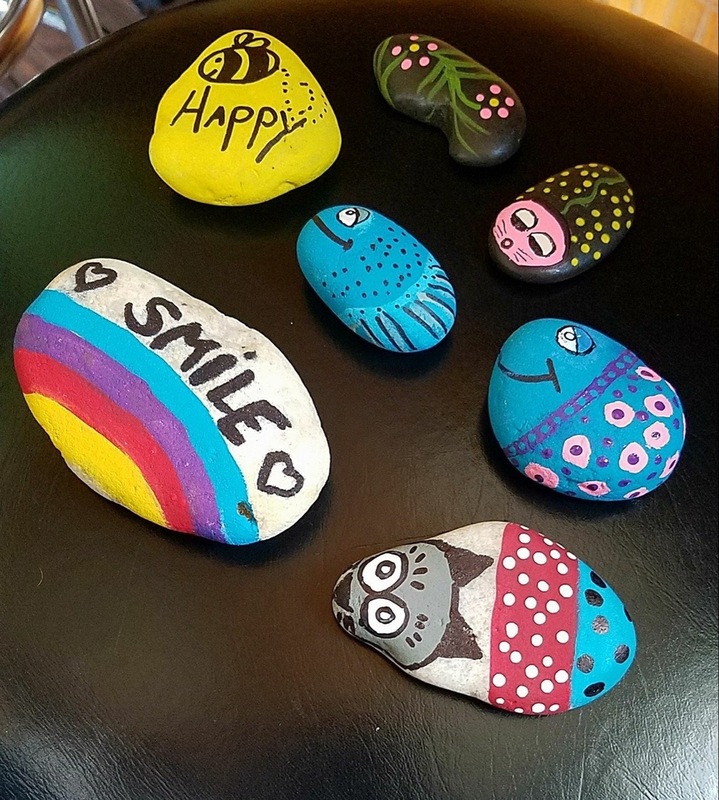 Groups get together and paint rocks as a project. 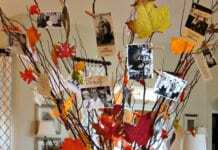 This is a wonderful, simple servant project for a church group or Sunday School class. Paint your church name on the back of the rocks with an invitation to join you. What Should You Do If You Find a Rock? 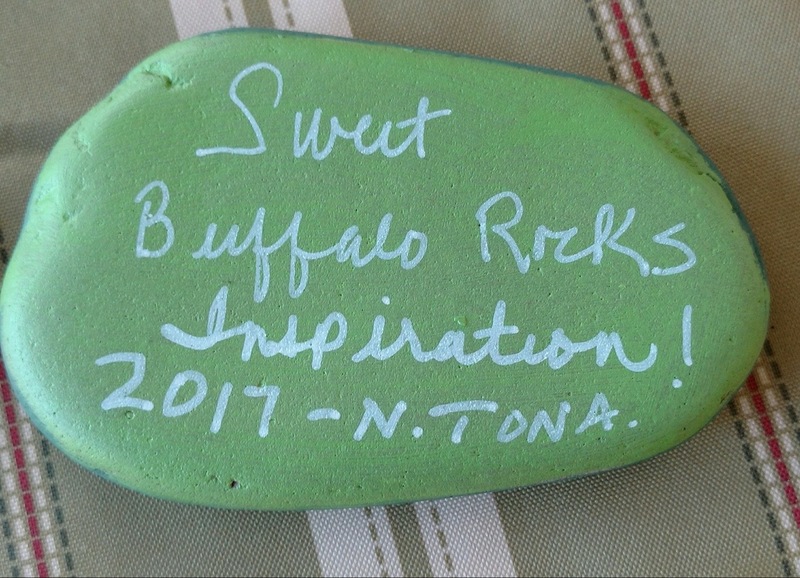 If you find a Kindness Rock, you can keep it for enjoyment or hide it again for someone else to find. Post a picture on Facebook or Instagram if you like. The person who created the rock just might see it. 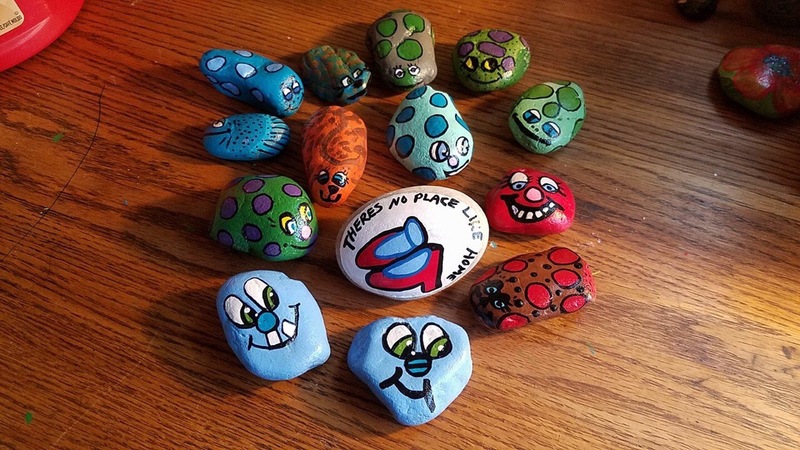 How will you get in on the Kindness Rocks adventure? Sara Borgstede is a 100 lb weight loss success story, real wife, and super real mom. She is a triathlete, motivational speaker, and writer. A mom to 5 kids through birth and special needs adoption, Sara and her husband Mike were foster parents to 35 children. She blogs at www.saraborgstede.com and runs an online faith and fitness program at www.faithfulfinishlines.com. She lives in Aurora, CO with her husband, children, and three cats who eat potato chips.